Two lavish, illustrated histories confronted and contested the Byzantine model of empire. The Madrid Skylitzes was created at the court of Roger II of Sicily in the mid-twelfth century. The Vatican Manasses was produced for Ivan Alexander of Bulgaria in the mid-fourteenth century. 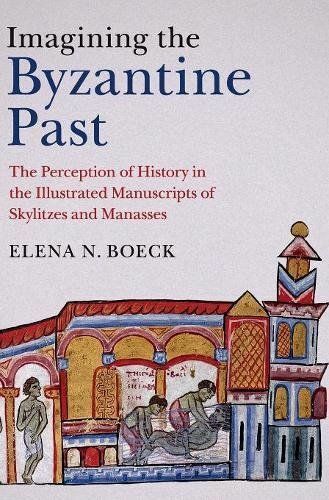 Through close analysis of how each chronicle was methodically manipulated, this study argues that Byzantine history was selectively re-imagined to suit the interests of outsiders. The Madrid Skylitzes foregrounds regicides, rebellions, and palace intrigue in order to subvert the divinely ordained image of order that Byzantine rulers preferred to project. The Vatican Manasses presents Byzantium as a platform for the accession of Ivan Alexander to the throne of the Third Rome, the last and final world-empire. Imagining the Byzantine Past demonstrates how distinct visions of empire generated diverging versions of Byzantium’s past in the aftermath of the Crusades.